The age of information retrieval (IR) system research is almost the same as that of digital computers. In 1945, a hypothetical hypertext-based personalized IR machine called Memex was described by Vannevar Bush in his famous Atlantic Monthly article. The Memex, a microfilm-based theoretical device, was designed to store and search all books, communications, and records a person had accumulated. During their long lives, IR systems have achieved great progress; they are much more surprising than the Memex. This progress comes from advances in computer science and engineering (CSE), information technologies (ITs), and innovations that happen by synergistic interaction of these fields. Discoveries in IR have not been as significant as those of the natural sciences. But on the other hand, IR studies, the efforts of many people, together with the advances in CSE and IT have drastically changed our lives. Change has occurred especially in the last two decades with the development of Web search engines, browsers, and related applications. IR systems were first based on mainframe computers and only accessible by a few number of specialists. After the invention of multi-user operating systems and terminal technology, they became accessible by many professional people at the same time. Then came inexpensive mass storage technologies, powerful PCs, the Internet and Web technologies; now ordinary people at any age can access almost any information (and perhaps too much information) from anywhere with a great speed. Now people feel the pressure of information glut and still cheerfully access information from their mobile devices. In other words, information that people need and don’t need is now as mobile as people themselves. Mobile IR systems bring many great opportunities to its users and even greater challenges to its researchers. Mobile IR research area overlaps with various research areas in CSE and ITs. Among others, these include augmented reality applications, computer networks, human-computer interfaces, information filtering, location-based services, machine translation, novelty detection, personal information management, and recommendation systems. Too much information, and the possibility of accessing one’s own knowledge base from anywhere at any time, bring the capabilities of current mobile information systems beyond the imagination of its builders. In this talk, I will consider the changes in IR systems by considering the questions of how, when, and why those changes occur? Emphasis will be given to mobile IR. Keywords: Historical perspective, information glut, information retrieval, Memex, mobile information retrieval, Web. Dr. Fazlı Can received his BS degree in Electrical Engineering and his MS and PhD degrees in Computer Engineering from Middle East Technical University, Ankara, Turkey. During his PhD studies in 1982 and 1983, he was a research assistant at Arizona State University and worked as an engineer at Intel Corporation in Phoenix, Arizona on the RAP database machine project. He is a professor of Computer Engineering at Bilkent University, Ankara, Turkey. 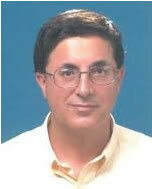 Before joining Bilkent University he was a tenured full professor at Miami University, Oxford, OH. He was one of the two co-editors of the ACM SIGIR Forum between 1995 and 2002. He has published several papers in computer science conferences and journals and received the Sigma Xi Miami University Researcher of the Year Award in 1998. He has served on the program committees of several international conferences, workshops, and NSF and TÜBİTAK panels. His more recent funded research is on new event detection and topic tracking in web portals, novelty detection in topic tracking, and analysis of Ottoman texts and poetry. He is one of two co-founders of the Bilkent Information Retrieval Group.